Free/member admission during regular museum hours. 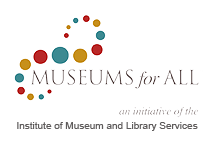 Member discounts at museum shops. Member discounts on concert/lecture tickets. *Please note, some museums restrict benefits, and 'Family' benefits are defined by each participating institution. Please visit the NARM website for more information and/or contact the institution prior to your visit to avoid any confusion.